“He wouldn’t like it,” she said assuredly. “Wouldn’t like it? Why?” I exclaimed. “It’s not his thing,” she continued with complete conviction. “Why?” I persisted monotonically. “Don’t know,” she conceded instantly. I found it hard to fathom any measure of indifference one could retain when faced with such lavishness and magnificence. There was gold leaf by the kilogram gilding the relief moldings of every column cap and pedestal. Entire walls were constructed of pink and blue marble throughout the massive domed structure. 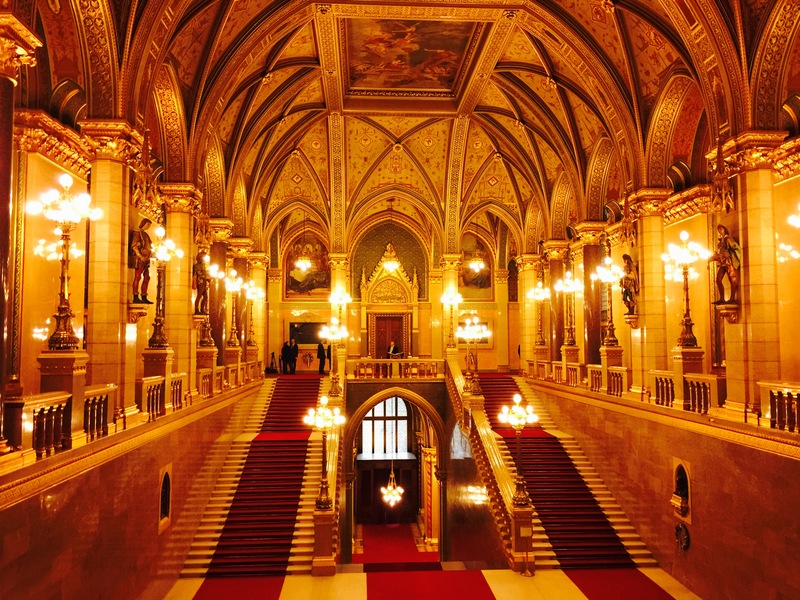 Inaugurated during the illustrious but fleeting reign of the Austro-Hungarian Empire (an early 1900’s world power), Hungary’s parliament majestically overlooks the River Danube. Well-organized tours are offered throughout the complex, in a variety of languages, including sneak peaks into the working parliamentary rooms. The jewel in the crown of the tour, quite literally, is the medieval gold crown of Saint Stephen, which is on display but guarded 24/7 under the dome of the colossal gothic legislative edifice. Nevertheless, my wife contends that this is of no interest to my brother-in-law. 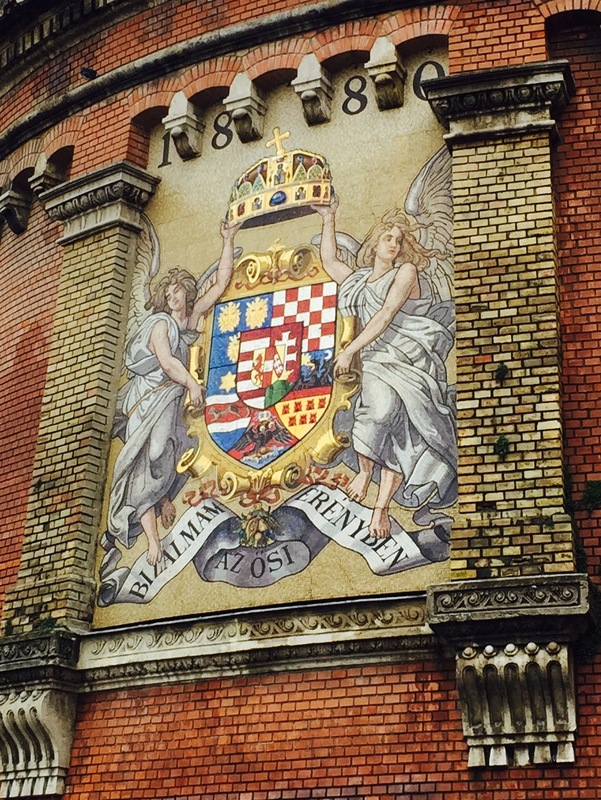 A few weeks before we arrived in Budapest my American kin traveled thousands of miles to join a cruise where he apparently declined to visit all the main attractions, including the magnificent St. Stephen’s Cathedral, Parliament, the palace, and countless other wonders of Austro-Hungaro historical significance. I wait eagerly to read the detailed review of his room. Sometime back in the 1600’s, the treasured crown was locked away in a box in a bad way, bending its cross. At the onset of World War II it was stored at Fort Knox and only by controversial presidential decree was it returned to its rightful place of origin. Jimmy Carter is a rock star in these parts. One of many golden chambers within the opulent seat of government. 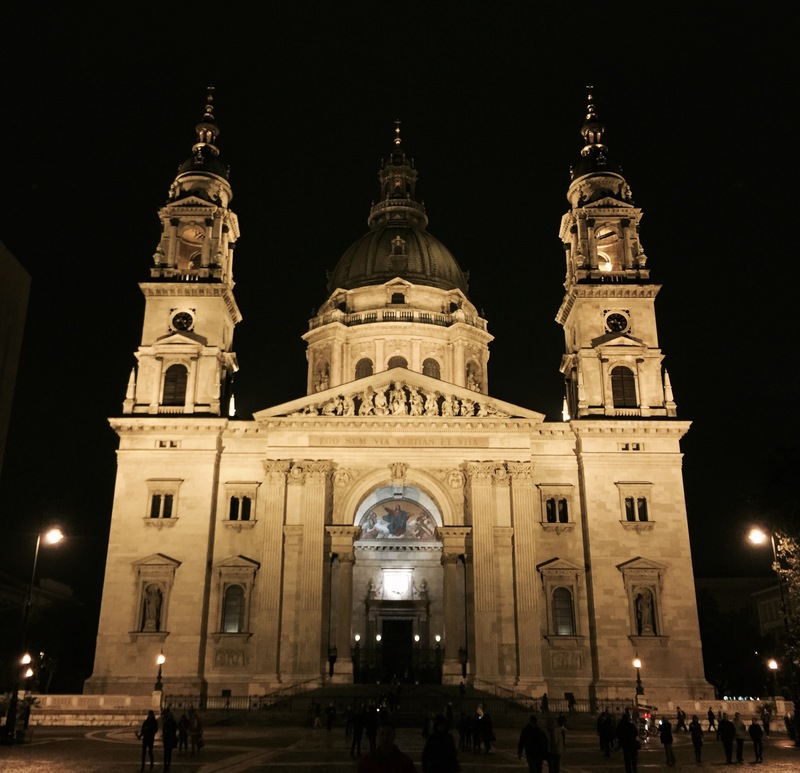 The nearby magnificent St. Stephen’s Cathedral is a marvel of marble and mosaic artistry. It was recently refurbished due to damage from wars, weather and an earthquake or two. Inside and out are gilded mosaics depicting celestial angels and astrology signs. The over-the-top altarpiece showcases a gleaming white statue of Christ surrounded by an awkward columned balustrade. We had ample time to study its intricacy during one of those ubiquitous church concerts. The renowned Kolos Kovats serenaded the audience in baritone splendor bringing life to Ave Maria and a few other songs that we had unfortunately never heard before. 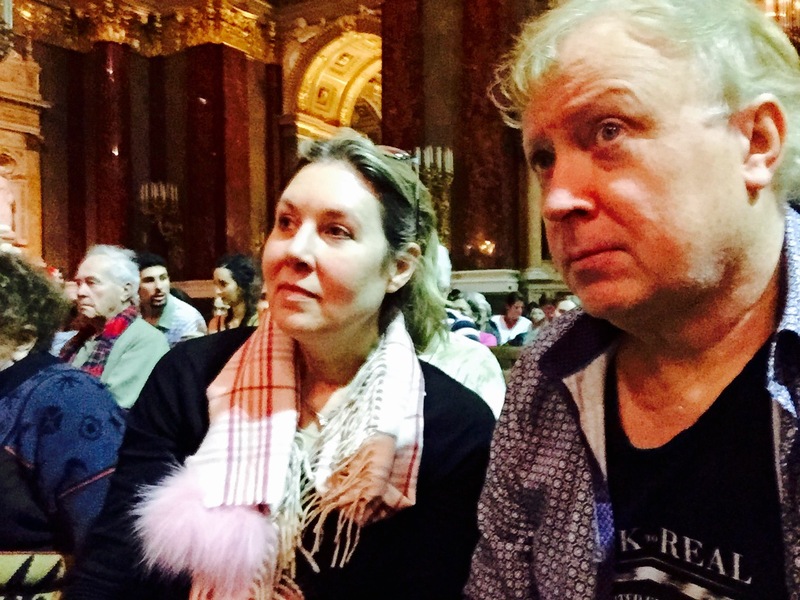 You think you know the classics and then you realize you really don’t when you’re sitting in a big cold church in Budapest with at least an hour to go, and no bathroom in sight.